One pan basil chicken and vegetables. 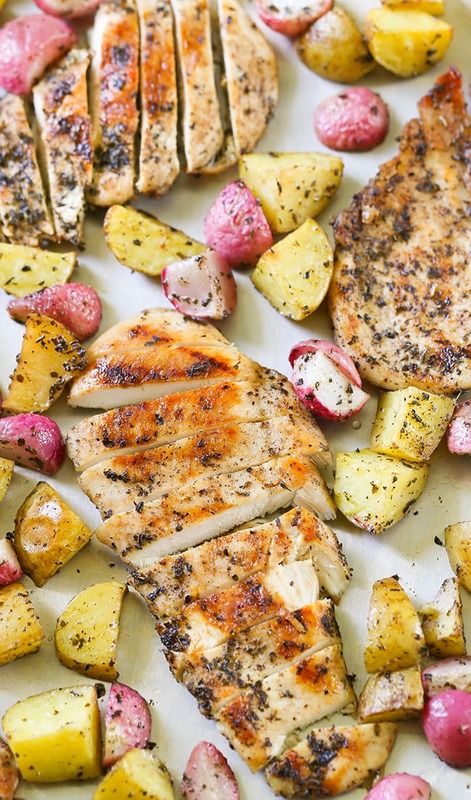 Basil and citrus marinated chicken roasted on a sheet pan with potatoes and radishes. Have dinner on the table in 25 minutes with this easy to make dinner recipe. Another sheet pan supper and this time it’s loaded with juicy basil marinated chicken and tender roasted vegetables. Sheet pan dinners are one of my favorite things to put together on a busy weeknight. I love the convenience of placing the ingredients on a rimmed baking sheet and roasting it in the oven in no time at all. A delicious and easy way to jazz dinner up is by making a simple marinade for the chicken and vegetables. 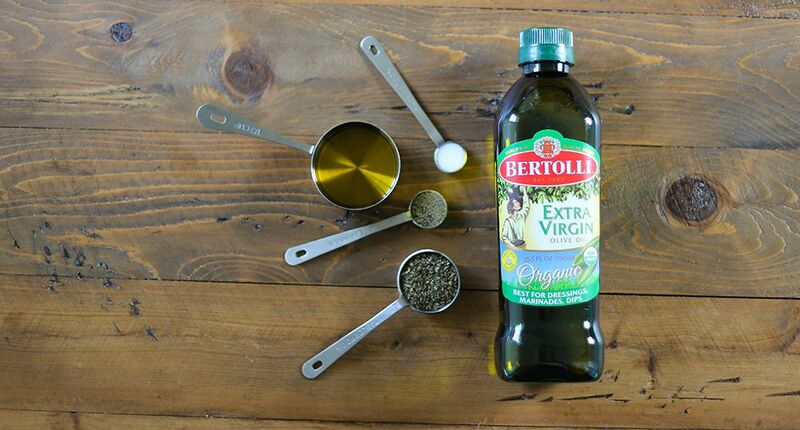 A good olive oil matters and you’ll want to use Bertolli Organic Extra Virgin Olive Oil. It is non-GMO and verified USDA Organic, made from organic olives and produced using organic farming standards. The olive oil is the number one oil brand in the world with over 150 years of expertise in olive oil blending. I use it in all my olive oil marinade recipes as it adds a robust flavor to dishes. Simply put, this olive oil inspires simple yet unexpected dishes that I get to make for my family. 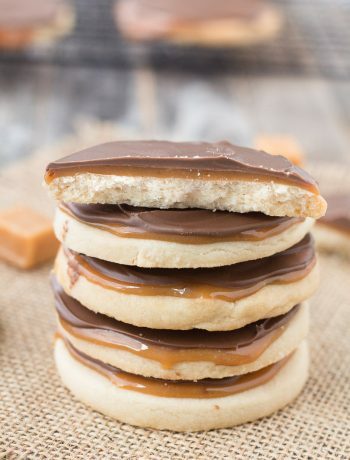 The advantage to this recipe is that it only has six ingredients. 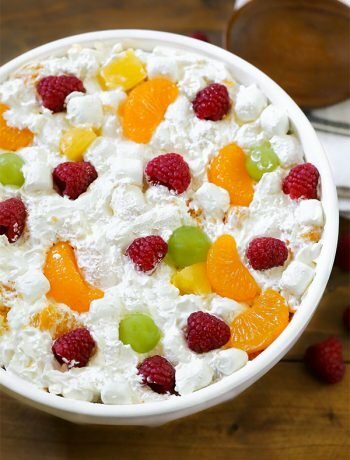 This recipe starts with Bertolli Organic Extra Virgin Olive Oil, basil, and kumquats. A simple marinade such as this one gives the chicken rich flavor and added texture. The chicken and vegetables are baked at a high temperature and the result is juicy meat and tender vegetables. Bertolli, while simple, sparks spontaneity, adventure, and connection in every dish. I’ve carried the same marinade flavor over to the roasted vegetables and it really adds a hearty flavor you’ll love. Sheet pan suppers have their place and time. For me, I like to make them on a weeknight. There are days where I just don’t have the time to prepare and cook for an hour or two. It’s perfect for days like today where I’m busy with family obligations. 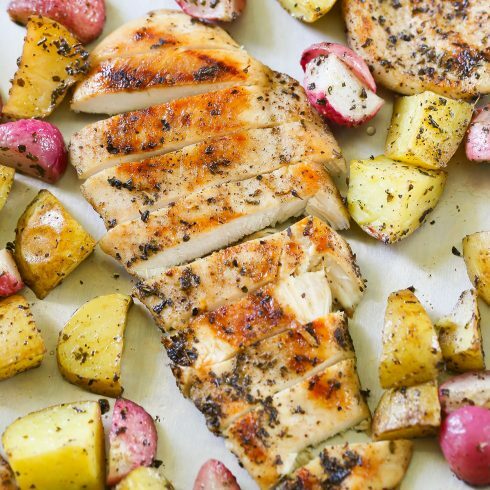 Cooking an entire meal on a baking sheet is a great way prepare dinner without all the mess. It cuts down on dishes and ensures everything is hot and ready to serve at the same time. The most comforting part of the day is coming home to family, being able to put dinner in the oven and catch up on our day. Basil Citrus Chicken - One pan basil chicken and vegetables. 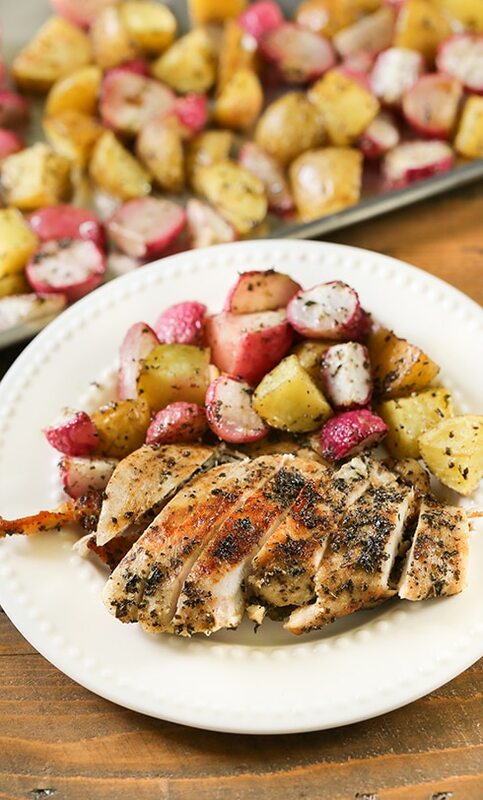 Basil and citrus marinated chicken roasted on a sheet pan with potatoes and radishes. 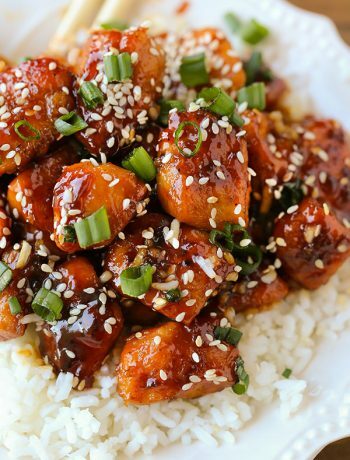 Have dinner on the table in 25 minutes with this easy to make dinner recipe. In a large gallon size resealable bag, combine ingredients to make the chicken marinade. Add the chicken to the bag then generously coat the chicken in the mixture and refrigerate for 30 minutes. 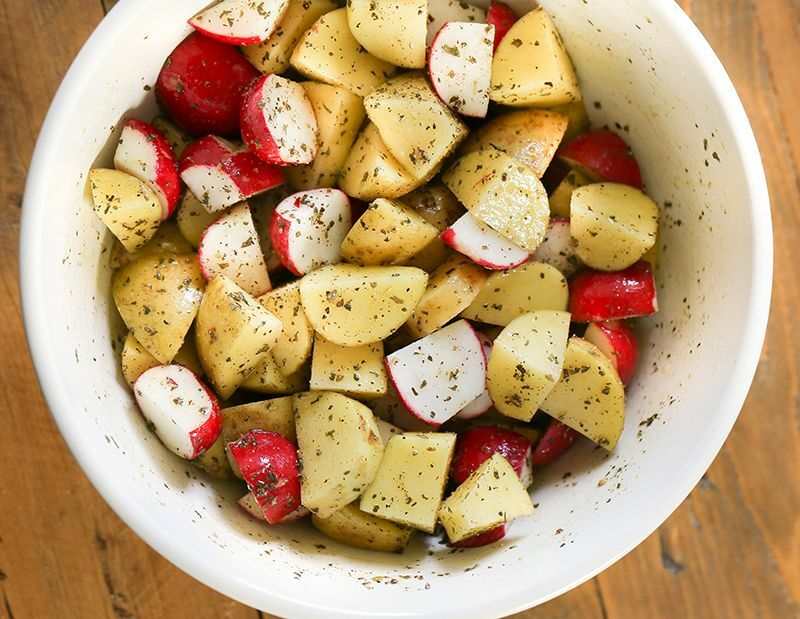 Quarter small potatoes and radishes. Place vegetables in a large bowl and toss with Bertolli Organic Extra Virgin Olive Oil, basil, salt, and pepper. Preheat oven to 450 degrees F. Line a rimmed baking sheet with foil. Arrange vegetables and chicken on baking sheet. Discard chicken marinade.